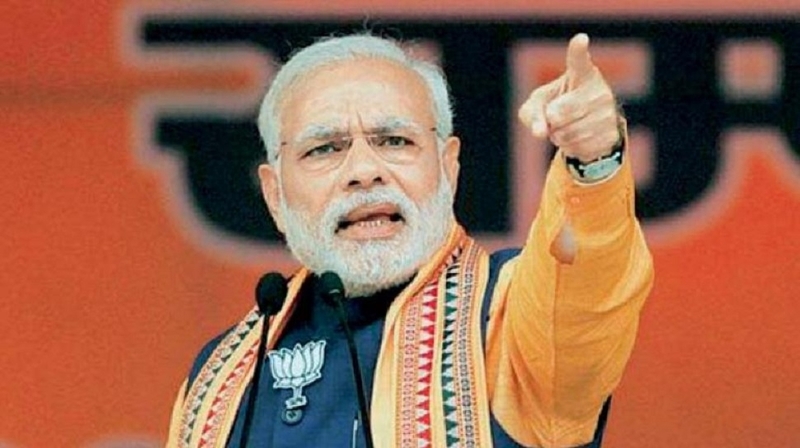 PRIME Minister Narendra Modi has rejected the claims of anti-incumbency against his Government ahead of the Lok Sabha polls and said that for the first time there is pro-Government sentiments in the country. In an interview to ‘ABP News’, the Prime Minister also said that as a result of the measures taken by his Government, fugitives like Vijay Mallya, Nirav Modi and Mehul Choksi had to land in jails of the countries where they fled. “I can’t find anti-incumbency against the Government. For the first time, I can see there is pro-incumbency. There is a wave,” Modi said. The Prime Minister said that in the last seven days, he had travelled around 70 per cent of the States and what he was claiming was based on his experience. “I am the one who loves to be among the public. I can see there is a pro-Government wave. This itself is a happy moment for the democracy,” he said. “It is because of the measures taken by us that these fugitives had to land in jails of the countries where they fled. It is because of us that their properties are being seized,” Modi said, adding that the nation was run by law and his Government was making full use of it. The Prime Minister said these fugitives cheated the country with so much money in a span of 10 years, but not after the Bharatiya Janata Party (BJP) came to power. “They (fugitives) didn’t know that a Government like this would come and take actions against them. Therefore they got scared after we came to power and fled,” he said. To a question that Muslims didn’t believe in the BJP, the Prime Minister said he didn’t believe in doing anything for the Hindus or the Muslims specifically. Instead, he believed in doing things for the people of the country. “During Manmohan Singh’s tenure as the Prime Minister, a Sachar Committee was formed. The committee members came to Gujarat when I was the Chief Minister and asked me what did my Government do for the Muslims? “To which I responded that my Government didn’t do anything for the Muslims and nor will it do anything in the future. In fact, my Government didn’t do anything for the Hindus either, because my Government worked for the welfare of the people in general,” he said. Citing “Sabka Sath, Sabka Vikas” as his mantra, the Prime Minister asserted that there was no place for religion in his Government.